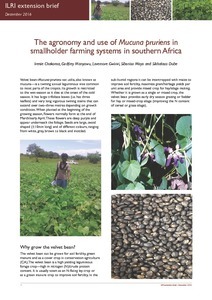 This extension brief by International Livestock Research Institute (ILRI) researchers and their partners in Zimbabwe, explains the importance of velvet bean as a forage crop and the best practices in managing the crop. Velvet bean–Mucuna pruriens var. utilis, also known as mucuna—is a twining annual leguminous vine common to most parts of the tropics. 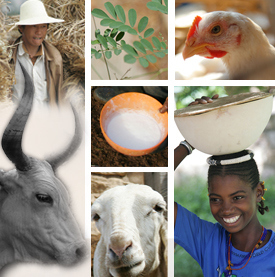 It can be grown for soil fertility, green manure and as a cover crop in conservation agriculture. It is also a high yielding leguminous forage crop—high in nitrogen (N)/crude protein content and is usually sown as an N-fixing ley crop or as a green manure crop to improve soil fertility. Tags: ZimCLIFS. Bookmark the permalink.